Our first show of 2017 felt like a real success, with the help of friends, lovely music and a supportive audience. It’s an especially important time for live music, for building community and for experiencing the creative expression of artists. 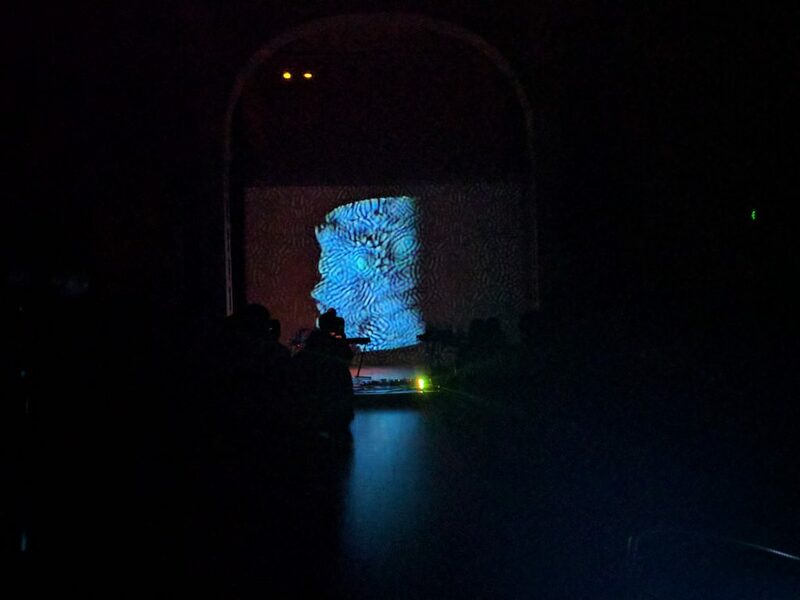 The evening opened up with a beautiful set by Norm Chambers on synthesizers, beginning with an intriguing introduction of mangled frequencies, followed up by one of his more signature melodic sets, offset by an LPG’d motorik beat powered by his euro-modular. 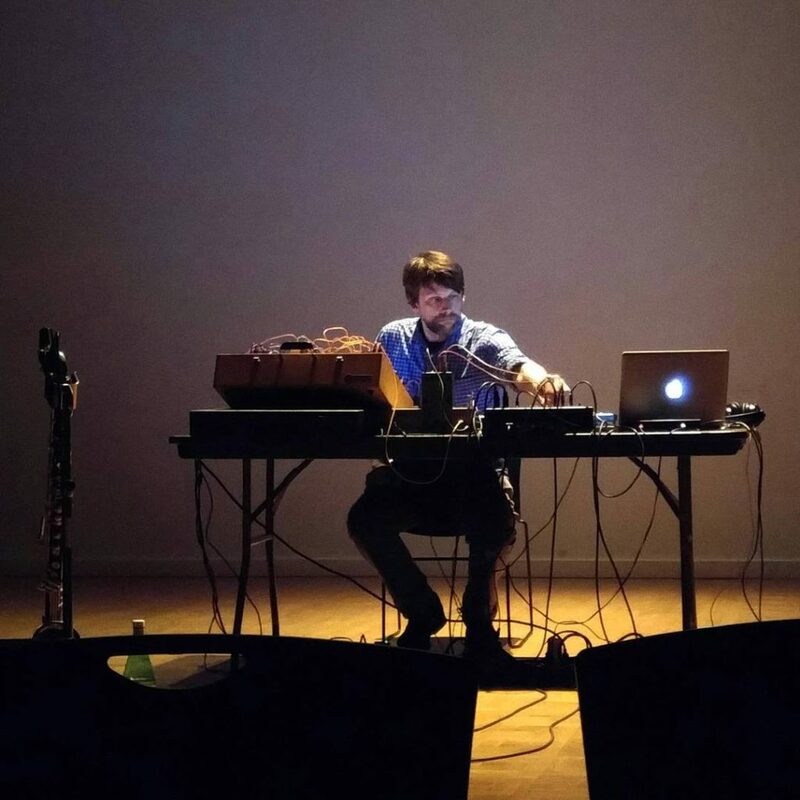 Jonathan Sielaff presented a powerful, dynamic set of processed bass clarinet and loops paired with a video sequence of structures among natural landscapes. His piece drew attention to the acoustics of space and varied in intensity throughout. 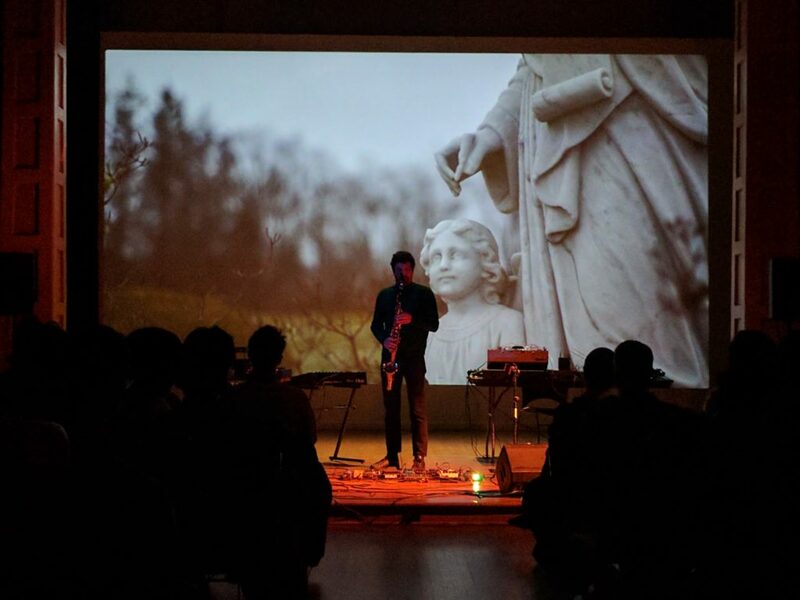 Light floating melodies pierced by atonal moments of ripping, sub-augmented whines filled the space. My personal favorite moments were the forceful, flattening gestures that sounded like the removal a throat from a live guerrilla – intense! This show wouldn’t have gone so well without the help of two great friends: James Watkins running video and lights, and Robert (RM) Francis managing the door. 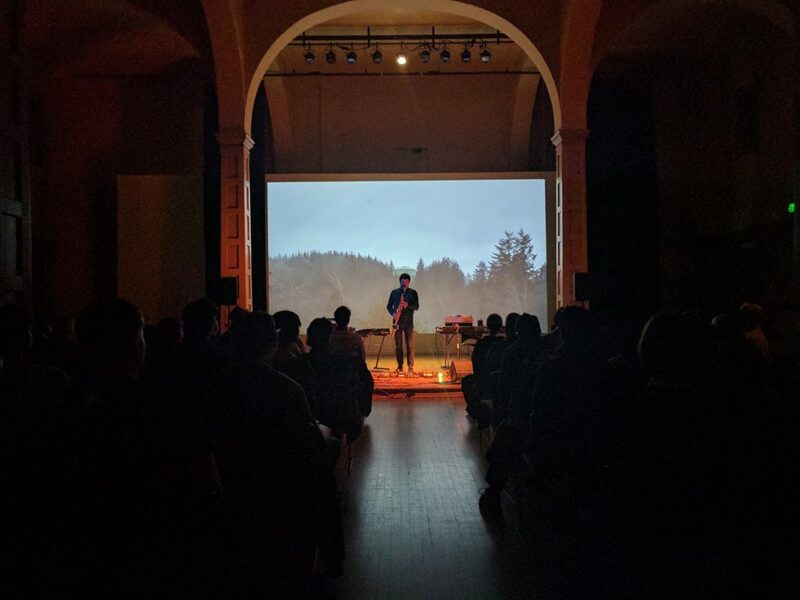 The Wayward Music Series (Steve Peters) generously offers a beautiful space to host performances, but the PA setup, running sound, working the door and managing the artists can be challenging without the help of a good team. Special thanks to those two for making this first performance a huge success! Next PostNext Gift Tapes/DRAFT 2017 Program. Live music performance. Seattle.